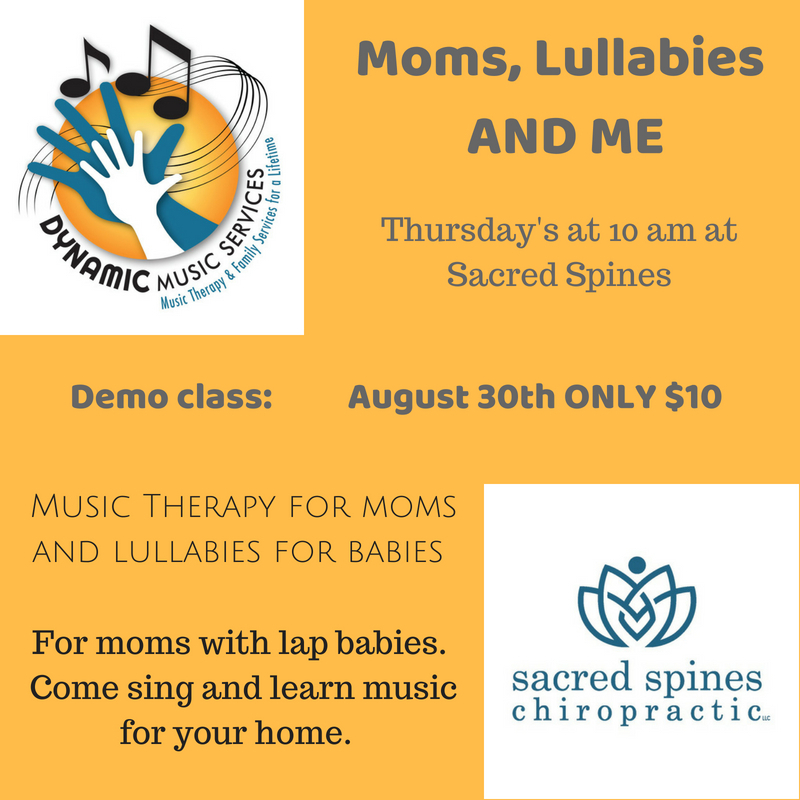 Mommy, Lullabies, and Me - Dynamic Music Services, Inc.
Join us on Thursdays at 10 am at Sacred Spines. We will be doing Mommy, Lullabies, and Me. In these groups, Moms will engage in vocal toning and singing a lullaby every week. Vocal Toning is creating frequencies in your voice and singing vowel sounds. Moms benefit from vocal toning. It can increase self awareness of their body, be a positive form of self expression, promote wellness, and more! Babies also benefit from hearing their mothers sing to them. In this class we encourage baby and mother bonding, mother self care and wellness, and group bounding. You won’t want to miss this class! Yes, I grant permission.No, I do not grant permission. Four week session of Moms, Lullabies, and Me Please note, the drop-in rate is $20. Dynamic Music Services Team Building Day!